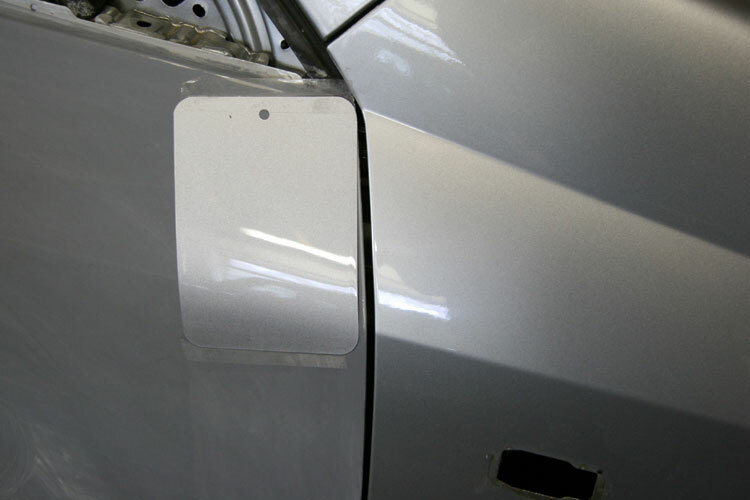 Our Modern state-of-the-art paint booth guarantees no contamination of your car's paint finish. The paint is blended using our computerised colour matching system to make an exact replica of a factory finished paint job. 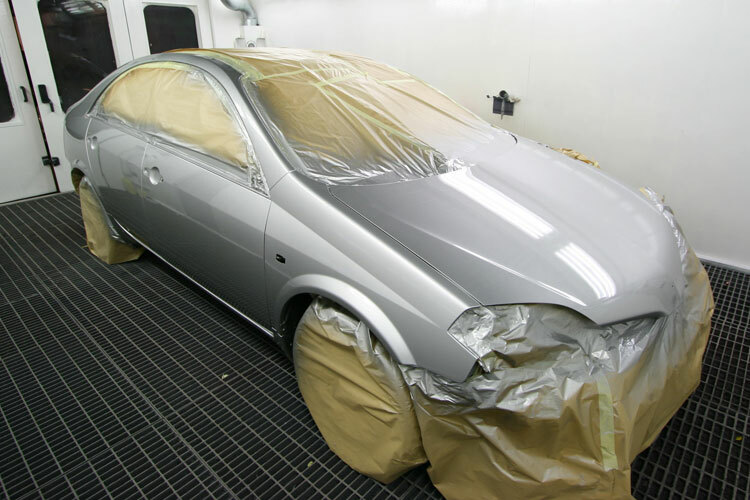 Each car is painted by our professionally trained painter in our USI Italia down-draft spray booth to complete the process of a perfect paint job. The Sikkens Automatchic 3. This lightweight device delivers the most accurate colour match ever, making the task of colour matching faster and easier for the body shop. Mixit2Win uses the measurement of Sikkens Automatchic 3 to find the correct mixing formula and adjust it if necessary. This is a complete formula, ready to spray. 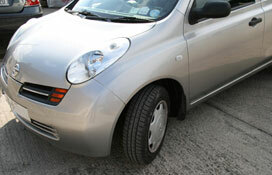 That allows you to precisely calculate the costs of all the materials needed to carry out a repair job. Autowave waterborne basecoat provides excellent coverage, metallic control and spray ability when used to duplicate OEM Solid, metallic and pearl colour effects. AkzoNobel Car Refinishes is once again pushing the envelope in high performance clearcoats with the introduction of Sikkens Autoclear LV Exclusive. With scratch resistant clearcoats gaining in popularity with O.E.M manufacturers, it is important that AkzoNobel Car Refinishes is able to deliver a VOC compliant after market scratch resistant clearcoat to match the performance of the OEM factory coatings. 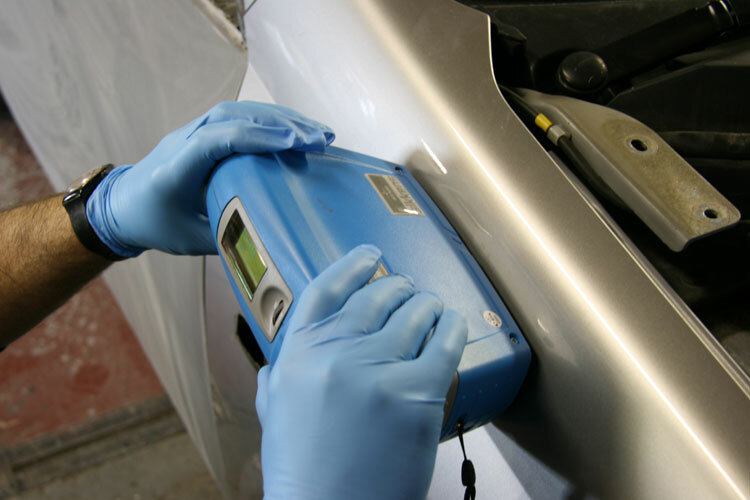 Recently, the majority of our customers and the main insurance companies are requiring the use of computerised measuring as part of the repair process. And Chief’s® Velocity™ is far and away the most advanced system available in the industry today. 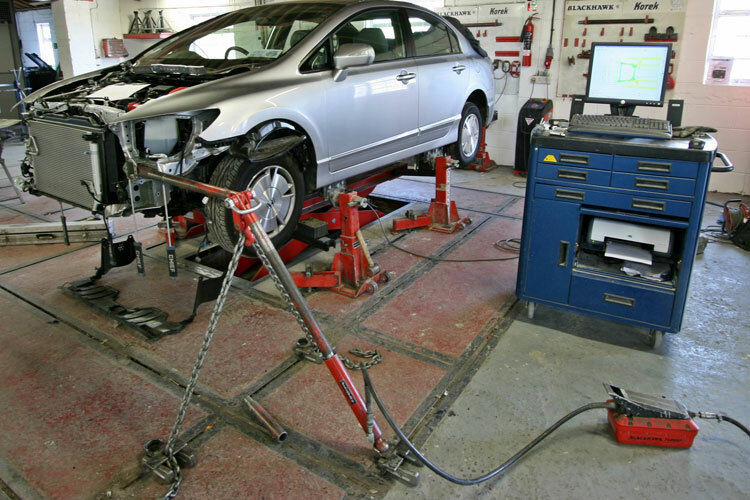 Fast and easy set-up with full-colour, one-page reports on the exact condition of the vehicle’s body before, during and after repairs have been made for indisputable evidence of damage severity and quality repairs. The new range of Advanced High Strength Steel being used in Modern car design, in general it is used to provide extra strength in the sill area, B post, chassis areas, rear cross members and roll over bars. MIG welding melts at about 1500°C, which is too hot for the new AHSS steels. Overheating changes the molecular structure of the steel, making it brittle and susceptible to rusting. MIG Brazing on the other hand melts at around 900°C, leaving a repair that is formable and yet still retains the correct tensile strength.